Based locally, McInnis Brothers Construction’s portfolio of work reaches across states, and their impact is seen all over Shreveport, Bossier, and beyond. We love the opportunity to give fresh life to an outdated website, providing relevant design and user-friendly functionality. 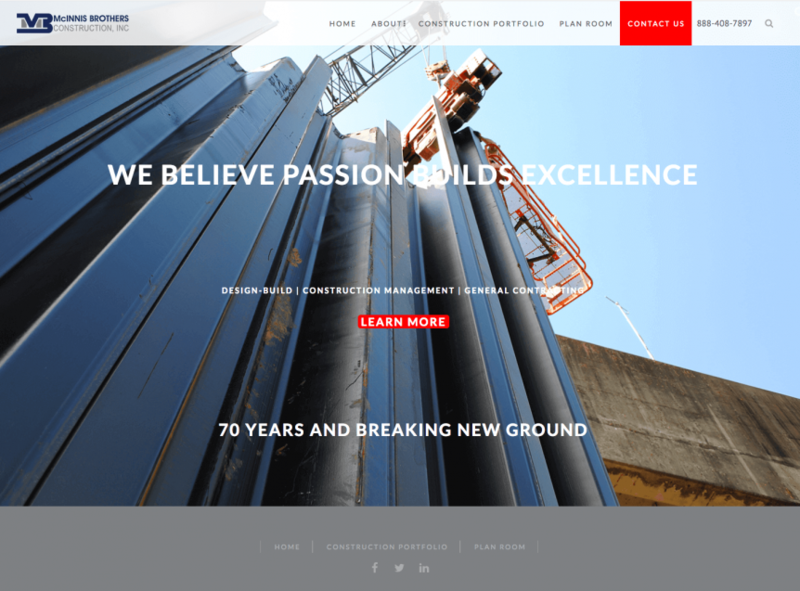 We recently partnered with renowned commercial construction company McInnis Brothers Construction to do exactly that – update their web presence to reflect the relevance and scope of their work. McInnis Brothers Construction (MIB) came to us with an outdated, poorly-functioning website. The Richard Creative team went back to the drawing board on the organization and content of each page, simplifying and strengthening the MIB brand by providing clarity and consistency to their message. The website also features industry-specific elements that facilitate their communication with subcontractors, potential clients, and the press. These pieces provide a hub for useful information and portfolio image and reduce headaches and hassle for their office staff. Launched in December 2017, the new McInnis Brother’s Construction website is a stunning visual representation of their body of work and range of capabilities, as well as a functional tool to promote their business. We invite you to peruse the beautiful work of McInnis Brother’s Construction at www.mcinnisbrothers.com.